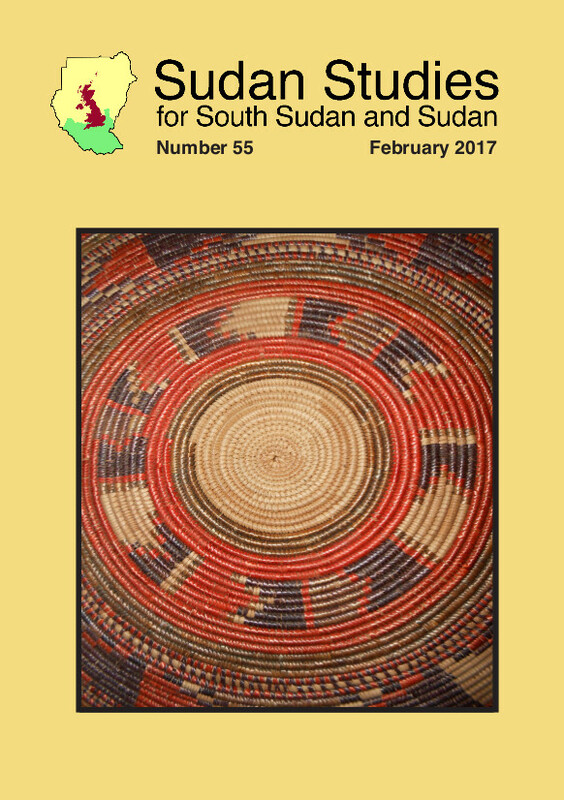 Sudan Studies 59 (January 2019) is now digitally available on this website for SSSUK members who have website accounts. 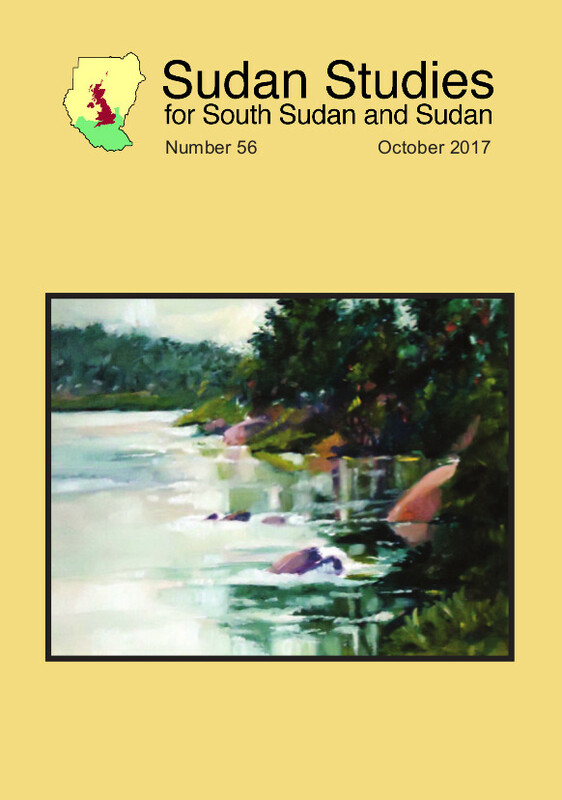 Sudan Studies 54 (February 2017) has been made publicly available after the two-year exclusivity period. To access the issues, go to the Sudan Studies page (under "Studying the Sudans" in the menu above). Suliman Baldo. ‘Tribute to Dr. Amin Mekki Meddani: His imprint on today’s rights and civil society movements in Sudan’. pp. 5-7. Douglas H. Johnson. ‘Paul Wilson (1955-2018)’. pp. 8-10. Hala Alkarib. ‘How to achieve gender equality – Navigating politics and religion’. pp. 11-18. Francis and Margret Kenyi. ‘The memories of Francis and Margret Kenyi, two South Sudanese’. pp. 19-27. Peter Everington. ‘Patriots who bridged the divides in Sudan’s early years of independence’. pp. 28-40. Garth Glentworth. 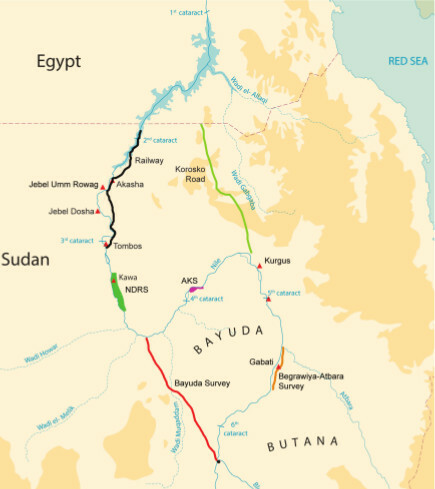 ‘Cross-country travel in Sudan in 1974: The challenges of delivering development aid’. pp. 41-50. Jil Orpen. The Sudan as it was: Herders and nomads’. pp. 51-60. Peter Verney. ‘Tongue-tied: How interpreting errors hurt Sudanese asylum cases’. pp. 61-70. Douglas H. Johnson. ‘A visit to South Sudanese in Australia’. pp. 71-75. Rebecca Bradshaw and Jane Humphris. ‘UCL Qatar: Archaeology in Meroe’. pp. 76-78. Robyn Thomas. ‘Elsewhere, home’. Review of a book by Leila Aboulela. pp. 80-82. Danielle Del Vicario. ‘South Sudan: A new history for a new nation’. Review of a book by Douglas H. Johnson. pp. 83-85. Daniel Large. ‘Food aid in Sudan: A history of power, politics and profit’. Review of a book by Susanne Jaspars. pp. 86-88. Francis Gotto. ‘News from the Sudan archive, Durham’. pp. 89-90. Gill Lusk. ‘Mohamed Ahmed Abdulla Abbaro: An appreciation’. p. 3. 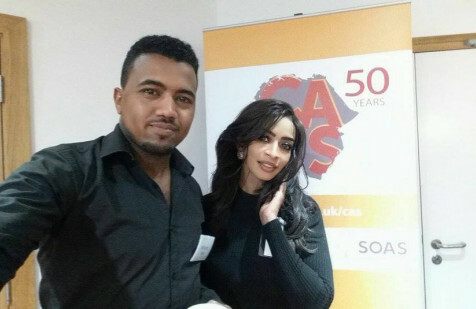 Aziz el Nur Abdel Magid & Charlotte Martin. ‘Sudanese literature today: A panel discussion’. pp. 4 -6. Al Saddiq al Raddi. ‘Poem of the Nile’. pp. 7-11. Jesse Zink. ‘Dinka vernacular literature and Bung de Diet ke Duor: Hymnody and publishing in a South Sudanese Church’. pp. 12-22. Peter Verney. ‘“Does your tribe have a flag?” The perils of seeking asylum in the UK’. pp. 23-31. Ali Agab. ‘Rule of law and rule by law in Sudan’. pp. 32-43. Douglas H. Johnson. ‘Sudan and South Sudan: From one to two’. Review of a book by Bona Malwal. pp. 47-49. Leben Nelson Moro. ‘South Sudan: The notable firsts’. Review of a book by Kuyok Abol Kuyok. pp. 50-52. Michael Medley. ‘The root causes of Sudan’s civil wars: Old wars and new wars’. Review of a book by Douglas H. Johnson. p. 53. Jack Davies. ‘In the paths of dangerous fame: The life and travels of W.G. Browne’. Review of a book by Edmund Wyatt. pp. 54-56. Matthew S. Benson. 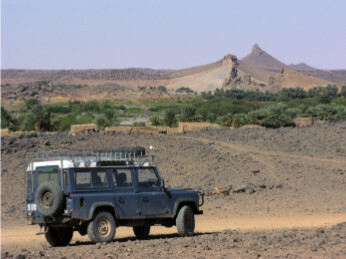 ‘Borders and borderlands as resources in the Horn of Africa’. Review of a book edited by Markus V. Hoehne and Dereje Feyissa. pp. 57-59. Aziz el Nur. ‘The Book of Khartoum. A city in short fiction’. Review of a book edited by Raphael Cormack and Max Shmookler. pp. 60-61.